For the first time ever, Tattered Lace are introducing glitter into their charisma paper packs. 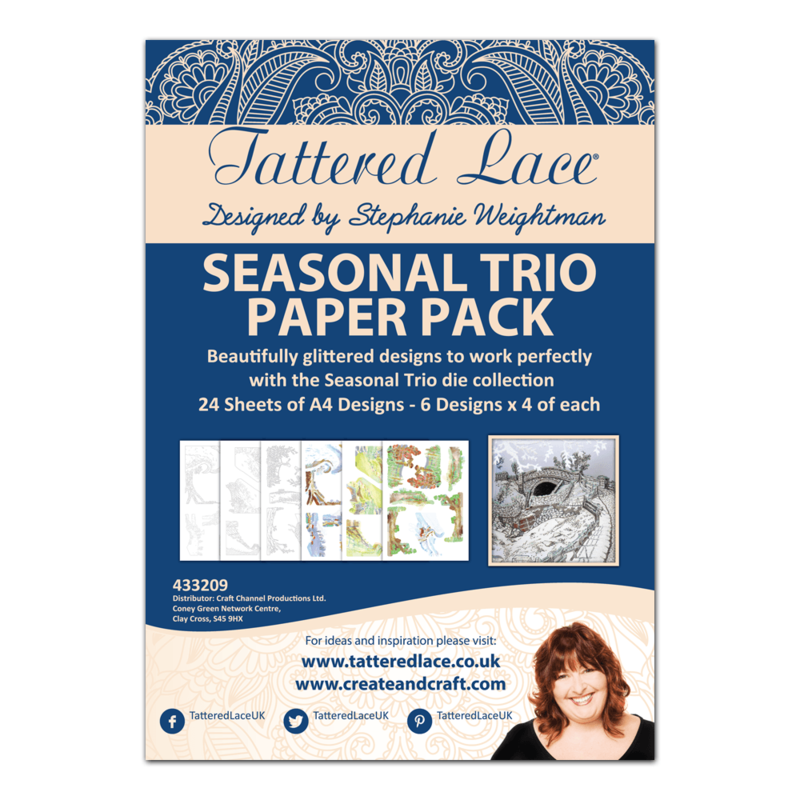 This stunning Seasonal Trio Glittered Charisma Paper Pack has been inspired by the new trend from Autumn and Winter; white on white and silver sparkles. This has been spotted on the catwalks of Saint Laurent, Paco Rabanne and Dolce & Gabbana! This paper pack includes 24 sheets of A4 designs featuring black & white and grey & white designs as well as an array of coloured designs. Perfect for the festive season, these glittery designs will enhance any project, why not recreate the look of freshly fallen snow. You’ll also discover countryside designs which are suitable for all occasions.